THANKSGIVING! 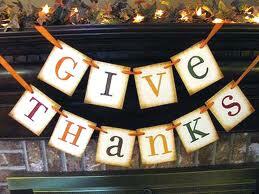 I love this holiday of food – family – fun, and football – a set time to pause and ponder thankfulness. There are seasons that may be difficult to pull forward on the shelf of our life, wondering if there is something – anything to be thankful for? We may have lost a job or a loved one, or our bank account matches our emotional bucket of strength – empty. Yet there IS something to be thankful for, we indeed have the reason for thankfulness! 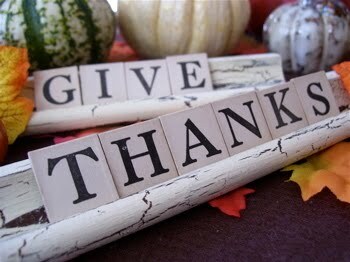 The great Psalm of thanks opens with, “Give thanks to the LORD for He is good…” (Psalm 136) That alone is enough. “Give thanks to the LORD for He is good. 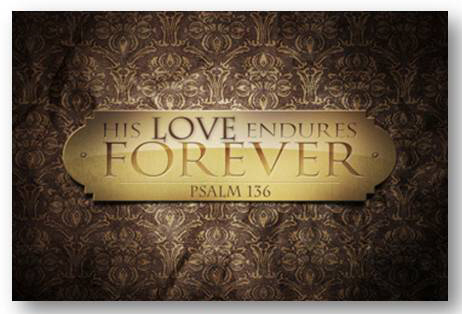 His love endures forever…” The author found it needful to repeat ‘His love endures forever’ 26 times throughout the Psalm. This Hebrew word love is ‘hesed’ (a guttural, ‘H-said’ ) we know it biblically as mercy, goodness, loyalty, steadfast love and even grace. What a pivotal word, a pivotal attribute all rolled up and woven into one magnificent GOD! The Psalms poetically describe His lovingkindness as precious (36:7) marvelous (17:7) undeserving (103) abounding (86:5) reviving (119:159) satisfying (90:14) and everlasting (103:17). Are we thankful yet? Turkey, cranberries, dinner rolls, butter, mash potatoes, gravy, green beans, and salad. (Breathe) Dinner plates, napkins, silverware, glasses and a centerpiece. THANKSGIVING! I love this holiday, food – family – fun and football. A set time to pause, consider and ponder what we are thankful for. Thanksgiving. There are seasons that may be difficult to pull forward on the shelf of our life, something – anything to be thankful for. We may have lost a job or a loved one. Or our bank account matches our emotional bucket of strength, empty. Yet there IS something to be thankful for. You have a reason for thanksgiving. 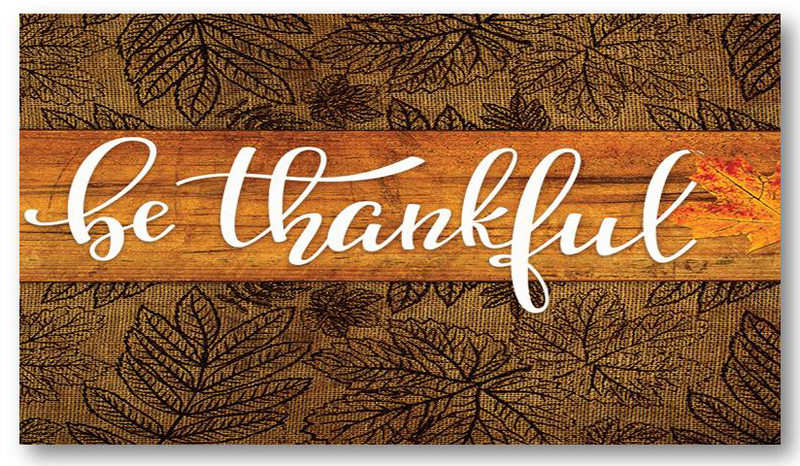 The great Psalm of thanks opens with, “Give thanks to the LORD for He is good…” (Psalm 136) That alone is enough. “Give thanks to the LORD for He is good. His love endures forever…” The author found it needful to repeat ‘His love endures forever’ 26 times throughout the rest of the Psalm. This Hebrew word love is ‘hesed’ (heh-said). It is used 248 times in the Old Testament. Let’s take a look at each one (just kidding). We know it biblically as mercy, goodness, loyalty and steadfast love, even grace. What a pivotal word, pivotal attribute. Scholars find it extremely difficult to translate into English, because there really is not a precise equivalent word(s). In 1535 Myles Coverdale published the first complete modern English translation, in it he often used ‘lovingkindness’ in place of hesed for the very first time. Thanksgiving, one of my favorite holidays! Besides the yummy food, desserts, beautifully set tables and wild and fun games played at family gatherings, OH and FOOTBALL! I so appreciate the call to pause. Pause and reflect. Reflect on the goodness of God. There is ALWAYS something to be thankful for. There is yet another portion of scripture that speaks loudly to thanksgiving, but I doubt we will ever see its words printed in gold leaf across a Hallmark card, though worthy of even more. We turn to Luke chapter 17, verses 11-19. In short, Jesus is on His way to Jerusalem, ten men with leprosy call out, “Jesus, Master, have pity on us!” The narrative says Jesus saw them, healing them, tells them “go show yourselves to the priest.” They all left, never to be seen again. Jesus’ response, “Were not all ten cleansed? Where are the other nine? WOW! OH, that I would be so very careful to pause, come and throw myself at Jesus’ feet … always. I have made so many stupid mistakes, wandered here and there. But Jesus is always there! There for me to throw myself at His feet. THANKSGIVING! Jesus tells the ‘one’ who thanked Him, ‘arise, go – your faith has made you whole.’ This ‘whole’ is sozo (in the Greek) – meaning not ONLY a physical healing, but conveying protection, to heal both physically and spiritually, to bring safely through, to justify. The opposite of this you ask? To BANISH! In addition, making this SO amazing, this one man was a Samaritan. The Samaritans were treated rather discriminatingly, they were considered ‘half breeds’ and not really worthy of folks’ time. Now a Jew, a Jewish LORD has not banished him, but healed him. He KNEW! He thanked! Principle we pull forward? Thanksgiving will lead us to wholeness! Jesus wants us to pause, take notice, come back and thank Him. Have some of us ran off with no hesitation, or are we so busy that we fail to take notice of His goodness. Or do some of us need to pause and come back, back to the feet of Jesus. Be the one! Turkey, cranberries, dinner rolls, butter, mash potatoes, gravy, green beans, salad. “Breathe.” Dinner plates, napkins, silverware, glasses, name cards AND centerpiece. THANKSGIVING! I love this holiday, FOOD – family – fun. Ok, I will add … football. A set time to pause, consider and ponder that which we are thankful for. Thanksgiving. There are seasons it may be difficult to pull forward on the shelves of our lives something to be thankful for. We may have lost a job, or a loved one. Or our bank account matches our emotional bucket of strength, ’empty’. Yet and yet there IS something to be thankful for. You have a REASON for thanksgiving. 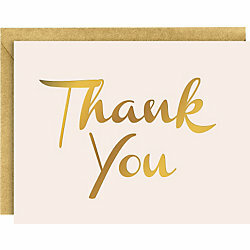 The great Psalm of thanks opens with, “Give thanks to the LORD for He is good.” (Ps. 136) The Hebrew language renders beautiful word pictures, “Give thanks…” offers the idea to confess or acknowledge in reverence and worship with extended hands. This merciful (undeserved) love is enveloped in personal involvement and commitment to relationship. Basically it IS relationship. God is pleased when it is reciprocated “For I delight in loyalty (hesed) rather than sacrifice, And in the knowledge of God rather than burnt offerings.” Our Lord desires faithful love and covenantal commitment. Very interesting note, (Geek alert) have you ever wondered why we call it, ‘saying grace’ when we bow our head and give thanks for our meal? 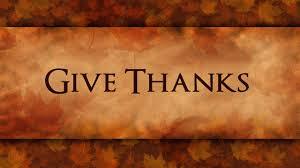 Giving thanks in the Greek is ‘charizomai’ deriving from ‘charis’ meaning GRACE! Our thanksgiving is rooted in GRACE! Turkey, cranberries, dinner rolls, butter, mash potatoes, gravy, green beans, salad. Breathe. Dinner plates, napkins, silverware, glasses, name cards AND centerpiece. THANKSGIVING! I love this holiday, FOOD – family – fun. Ok, I will add … football. A set time to pause, consider and ponder that which we are thankful for. Thanksgiving. There are seasons it may be difficult to pull forward on the shelves of our lives something to be thankful for. We may have lost a job, or a loved one. Or our bank account matches our emotional bucket of strength, ‘empty’. Yet and yet there IS something to be thankful for. You have a REASON for thanksgiving. 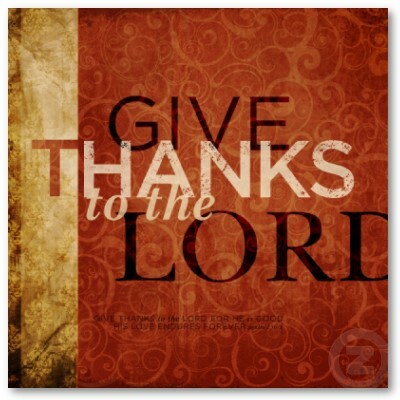 The great Psalm of thanks opens with, “Give thanks to the LORD for He is good.” (Ps. 136) The Hebrew language renders beautiful word pictures, “Give thanks…” offers the idea to confess or acknowledge in reverence and worship with extended hands. This merciful (undeserved) love is enveloped in personal involvement and commitment to relationship. Basically it IS relationship. God is pleased when it is reciprocated “For I delight in loyalty (hesed) rather than sacrifice, And in the knowledge of God rather than burnt offerings.” (Hosea 6:6) Our Lord desires faithful love and covenantal commitment. With this, it is precious (Ps. 36:7) marvelous (Ps. 17:7) undeserving (Ps. 103) abounding (Ps. 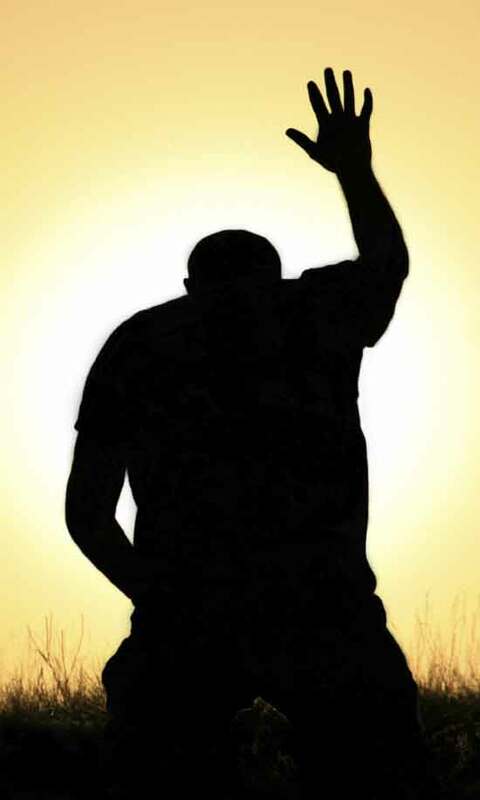 86:5) reviving (Ps.119:159) satisfying (Ps. 90:14) and everlasting (Ps. 103:17). God is the God of GREAT attributes and God cannot change – He will ALWAYS be a God of love filled mercy. Here we are. The holidays. I know for me, they have crept stealthily up like that of cat ready to pounce. Soon we will be sitting at the family table, passing the mash potatoes, the crescent rolls and all the while eyeing the desserts waiting wrapped under foils and Tupperware lids. There will be games, laughter, football and of course someone snoozing unaware of the stares and giggles made their way. This week is Thanksgiving. Perhaps there will be the suggested statement “Let’s share what we are thankful for…” The statements begin at the other end of the table. Phew … this will buy us time to think of all the many blessings of this year. Our responses follow the same of the one prior to us, we are thankful for our family, job and healthy kids. Blessings, yes these are! However, there is yet a fidget of spirit, the unspoken ache in our soul. Does anyone at this table really know the pain of our heart, despite the happy smile we practiced all the way here? Jesus, He knows what we need, what we want AND the deepest longings and painful patches of our heart. 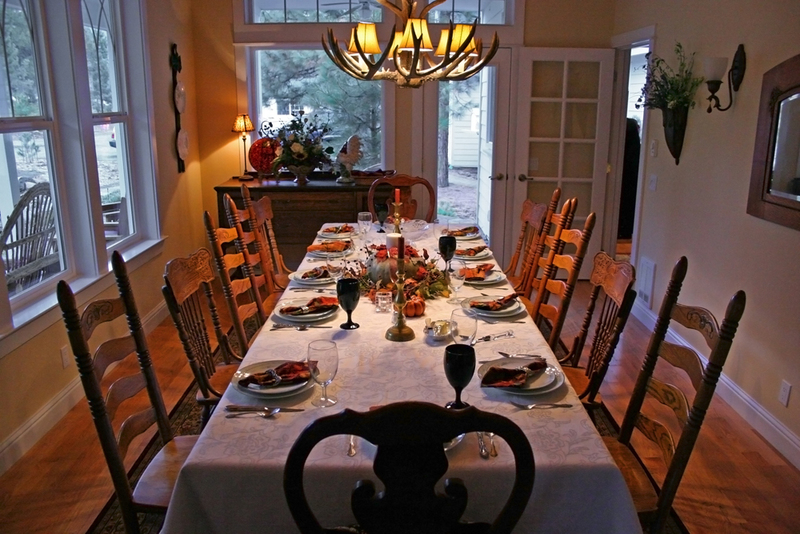 We are thankful, even when they are unspoken at the Thanksgiving table.